Mild missteps with the regional writing. Matt Hayward is an Irish musician who has hit the horror scene fast and hard in the past couple of years. 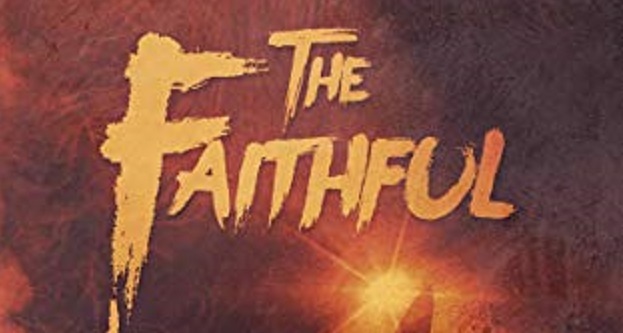 His third novel, The Faithful, gives the audience a shot of careful, clean, descriptive prose on par with many a twenty-book veteran. Disclaimer: I’m not a huge fan of what is often called “cosmic horror” but, for being rather specific, this subgenre is loosely-applied, and I can definitely get behind examples where the label appears to describe… excellent writing. As is the case here. Yes, recognizable “horror” occurs in this book, but as with most of the best writing (a personal opinion, but a correct one, hah! ), it is less the circumstances of a book and more its characters—their growth and dialogue—that truly shape the “genre” elements. Without getting too deep into plot, it’s a town of off-grid religious hillbillies versus an RV filled with a newly-retired stand-up comic, a guitarist with anger management issues and his newly-discovered son, and an aging actress. Add a dab of “cosmic horror” (demons and stuff; I don’t want to spoil things) and everyone has a good time. I will say that there are some mild missteps here and there with regard to the nuances of racial, cultural, language, and religious legacy in the post-Reconstruction splinter cult of the American South, but you’d have to read a book from a born-and-raised regional master to notice these minor mishaps, let alone have them break you out of the immersive storyline. 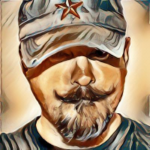 All in all, impressive, because, again, the author is from Ireland, not West Virginia (nor is this his first rodeo in doing well with other locations and mods of thought and speech). I have the distinct impression that my attempt at “writing Irish” would go far more wrong, far more quickly. There is a definite whiff of Lovecraft, or perhaps Stephen King’s more recent cosmography, that flavors the “ultimate evil” portion of this, and for the most part, the “whatever it is” issue is handled quite well. Dream sequences, mental projections—again, no spoilers, but it’s good stuff. The action is interspersed, physical and believable when it occurs, and the ultimate antagonist is sufficiently inhuman. Some may not love this, but the plot goes from A to B with a sensation of unhurried efficiency, content to provide engaging writing and a few detours I appreciated. As a minor complaint, there is also a certain plodding inevitability lurking below the surface. This maybe purposeful—as in, literally predetermined—but that aside, a sharp twist or two could have kept this reader more involved, as it leaves it to the superb line-to-line writing to lift what could be seen as rather sedate, paint-by-numbers slow footrace to an increasingly obvious finish line. No, you know what? I’m going to rant, because it is everywhere in film and fiction, from The War of the Worlds and beyond. Why in the hell would an ancient, godlike entity work like mad to… go someplace where they can easily become a last-chapter chump that any plucky cast of losers dispatches partly by accident and with minimal sacrifice? Half of the Amazonian rainforest would still be constipated with CO2 if all the pulp paperbacks that go something like this were never printed: muhaha, my pathetic human minions have paved the way, and quite successfully at that. Finally, unspeakably stronger than they, I can claw my way to a horrible being in your plane; fall to your knees, for I have waited a billion years to… ack! Was that a packet of mild Taco Bell sauce! Noooo! The cosmic monster god shrivels into death/defeat. I mean, yeah, I get it, mild Taco Bell sauce is awful, but… I mean, really? Can’t ye olde Satan do some market research, kind of get the lay of the land first? Test for infectious diseases? Bad burrito sauces? Okay, I’m done. Back to Hayward. The man knows how to write, he knows how to edit, and while you may have guessed that I would have been cool with a somewhat more formidable endgame “boss” showdown, the ending works within the confines of the established universe, and this is highly recommended. 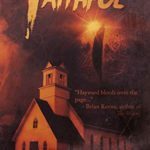 For a wintry, warm-in-bed, lights on (or out if you dare) well-written read, The Faithful delivers pleasantly.